Archaeopteryx the Solnhofen Fossil symbol of Evolution and transitional fossils. The iconic Berlin specimen of Archaeopteryx in 2016. Archaeopteryx, the most famous Solnhofen fossil is without doubt the first bird. It is the symbol of evolution and transitional fossils and the origin of species. From 1860 to 2010 are currently 13 verified find of this fossil species are known. 13 specimens in more than 150 years of research is not mush but actually it is not the rarest Solnhofen Fossil. 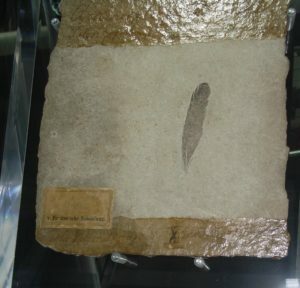 But it is one of the most famous fossils of the world. It became an symbol for Darwinism and evolution as a transitional fossils. The first specimen was a isolated father that has been found in at east end of the communal Quarry of Solnhofen. Still the best preserved specimen of Archaeopteryx is the Berlin Specimen that was the 3rd find of this imported Solnhofen fossil. This is a picture of the side that is still located in Munich museum. The first complete Archaeopteryx fossil from Solnhofen. The first articulated specimen is known as “London specimen” was purchased by the British Museum for a price of 700 English Pound from Carl Friedrich Häberlein. 700 GBP what would be today approximately today 200000 USD*. (*Assumption based on Christopher Hibbert , 1987 : The English: A Social History, 1066-1945) It is always difficult to convert a 150 year old price to today terms. 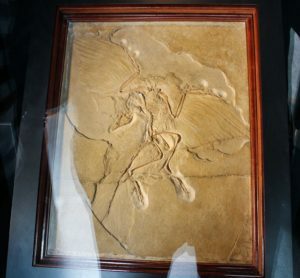 But it is save to say that the price for the Archaeopteryx fossil was enormous sum for that time. Ironically Richard Owen was the driving force behind that purchase of the fossil. Richard Owen motivation was to suppress Darwin’s evolution theory that would be supported by that fossil. Charles Darwin published just in 1859 his evolution theory “On the Origin of Species”. 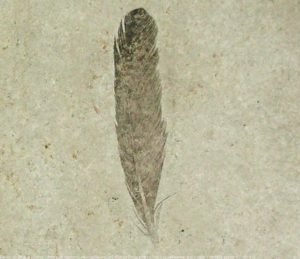 He postulated transitional fossil, so called “missing links” just like this bird like dinosaur with feathers. 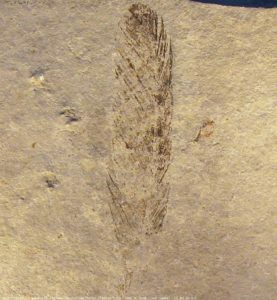 It was just in the year 1861 that just that kind of fossil was found in Langenaltheim just a few kilometres west of Solnhofen. 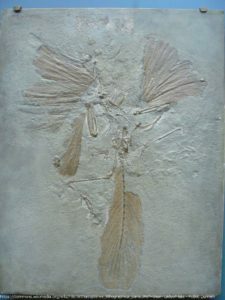 Even the second complete Archaeopteryx the Berlin specimen was sold by Ernst Otto Häberlein the son of Carl Friedrich Häberlein to Werner von Siemens. The final Price of the fossil bird was with 20000 gold marks incredibly high again. But its history and circumstances of finding are better documented. 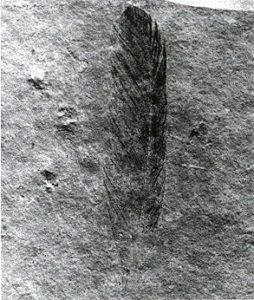 Initially the 3rd Archaeopteryx was found by man named Jakob Niemeyer. Unbelievable but true he trade the fossil for a cow to the Solnhofen Quarry owner and fossil dealer Johann Dörr. He sold it to Ernst Otto Häberlein for 2000 Gold Mark who multiplied the price by ten.